Roberto Luongo has the decade’s top mark by a long shot. Given that the decade spanned ages 21 through 30 for him, he was certainly set up nicely, but he definitely made good on his advantage. Henrik Lundqvist slotting into the the fourth spot with only five seasons is impressive, but I’m far more impressed that Trevor Kidd and Sebastien Caron were able to crack the list despite facing only 3,000 and 2,700 shots respectively. Tomas Vokoun, for my money chronically underrated, ranks second according to the standard. Luongo also has the high single-season mark of the decade and placed in the top 10 thrice. Second highest mark went to Jose Theodore’s breakout 2001-02 campaign. Though he finished in a virtual tie with Patrick Roy for first place in Vezina voting that season, the two were not competitive by this standard. Vesa Toskala, acquired by the Leafs for first and second round picks in 2007 (which the Sharks used to pick Logan Couture), finished in the bottom 10 two out of three years with the club. The 90s featured some goaltending performances well above the league average level. Dominik Hasek’s 323.1 saves above league average is a ridiculous mark. I also find it interesting to compare the performance of John Vanbiesbrouck, a player the Canucks lost to the Florida Panthers in their expansion draft, to the two goalies they protected instead, Kirk McLean and Kay Whitmore. Being a goalie on the Ottawa Senators in the 90s seemed to help you get a placement on a right-hand list. Curtis Joseph’s 57.2 saves above average 1992-93 season was the best of any performance among the 28 seasons measured. Dominik Hasek had four seasons with more saves above average than tenth place Chris Osgood had in the decade. In flash-in-the-pan Jim Carey’s Vezina winning 1995-96 season, twelve goalies finished higher than him by this measure. Hasek’s 44.1 mark more than tripled Carey’s 13.4, but he only managed to get 9 Vezina votes compared to Carey’s 52. The 80s didn’t include the 1980-81 season because shot data isn’t readily available for that season. Patrick Roy tops the list and is the only goalie to make the top 2 (or even top 5) in multiple decades. 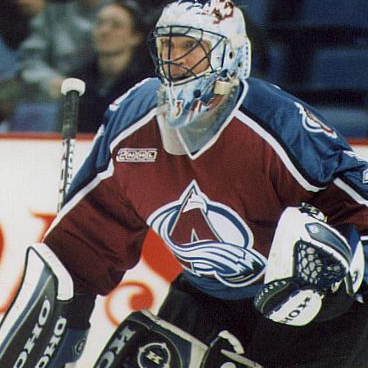 If he would have made another 5 saves in 2002-03, he would have made lists in three decades. NOTE: Glen Hanlon’s mark of -91.9 saves below league average is an error. A typo by HockeyDB has Hanlon making 10 saves on 203 shots on goal. Rollie Melanson is the first goalie to make the top and bottom list in one decade. I’m sure Kelly Hrudey brags to fellow commentator Greg Millen about being on the opposite end of the SALA spectrum. ← Ryan Johansen – How much is he worth on a Bridge Deal? Heh, thanks for sparing us the need to spell “Sidorkiewicz” correctly on the Sporcle quiz…it was nice to just have to put in “Sidork”. If you pulled your data about Glenn Hanlon’s 81-82 season from Hockey DB, you should know that the data is incorrect. For example, he didn’t have a save percentage of .045. His was a bad season, but hardly the worst in 30 years. If I had have checked the spreadsheet in input a little more carefully, I probably would have picked up they had him listed for 10 saves on 203 shots against (while maintaining a 3.47 GAA).